Everyday Math is the curriculum used by USD 268. 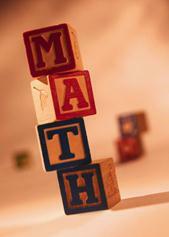 It encourages the development of new math skills through daily introduction, practice, and repetition of math concepts. In Kindergarten the Everyday Math activities are fun and hands on. We have created weekly math tubs to help support and reinforce the skills being taught during math calendar and Everyday Math activities. Each week your child rotates through math oriented games, projects, computer programs, and one-on-one conferencing with the teacher and classroom aide. Please take a look at the website to learn more about what your child is learning! What is your child up to in math at Cheney Elementary?